A Utah man who has been held in a Venezuelan prison for two years pleaded for help from Americans Wednesday and said he feared for his life as violence erupted at the prison. The turmoil renewed calls from U.S. government officials and Holt’s family for the imprisoned Utahn to be freed on humanitarian grounds. 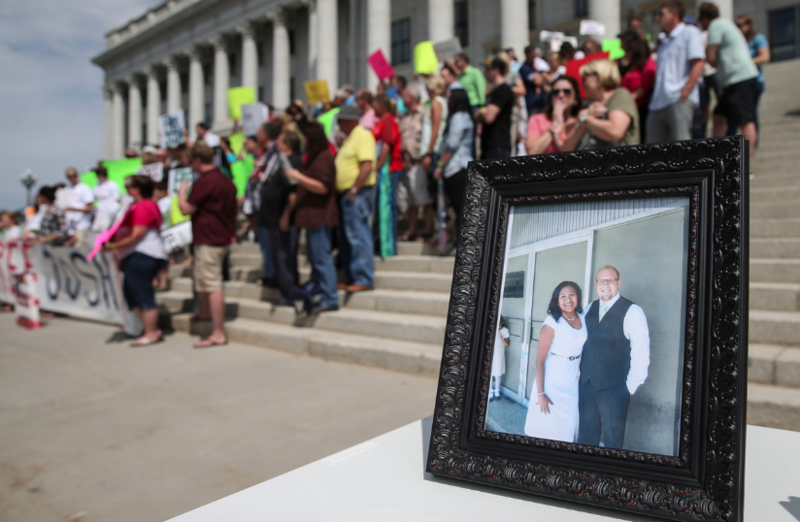 Holt’s mother and members of Utah’s congressional delegation said they had learned he was not harmed in the prison riot. “This has never been like this ever, until now. I can say he’s probably OK right now,” said his mother, Laurie Holt, on Wednesday evening. But she said she wasn’t certain he would remain safe. “He hasn’t had any justice whatsoever on trumped-up charges that are ridiculous,” Laurie Holt said. Venezuelan authorities have claimed Holt was keeping guns in the home of the woman he went to the country to marry in 2016. Holt denies the charges. His family has said he was in the wrong place at the wrong time of a raid in the Caracas neighborhood of his wife, Thamara Caleno, whom he met through online Spanish lessons after returning from an LDS mission. Laurie Holt said that though she feels the U.S. government has been working hard to free her son, she still is wracked with despair.